Chloé Suberville completed a Bachelor of Arts at McGill University with a major in International Development and a double minor in Political Science and Sociology, and is concurrently part of various developing projects within Haiti. Chloé is Pencils for Africa’s liaison for French-speaking countries in Africa. In her capacity as Francophone Africa Liaison, Chloé is building an alliance between children at the International French Lycée outside Paris, France, and children at CAMME in North Kivu, Congo (Centre d’Appui en faveur des Mineurs Mal Exploites). Chloé is also Managing Editor of The Brick Project website. Chloe: Tell me a little bit about the conflict in Congo and the role of children in the conflict just to contextualize our discussion. Pascal: First of all, the conflict in Congo (DRC) is an ongoing reality. Since 1996 DRC has faced a series of different conflicts, based on ethnicity, politics, and more. It’s left behind widows, orphans, and hundreds of thousands abandoned and displaced. Most of victims of these conflicts are children who don’t know where to go, lots of children lost their families and many end upin the street because there is no help; the government can’t protect it’s own people, and is often responsible for the violence itself. The program I work for is called CAMME. We take care of orphans, vulnerable children from different backgrounds, we teach them vocational training and skills, so they can help themselves in the future. We take care of orphans, vulnerable children from different backgrounds; teach them vocational training and skills so they can help themselves. Chloe: Pascal, the work you and your fellow team members have been doing at CAMME in North Kivu, Congo (Centre d’Appui en faveur des Mineurs Mal Exploites) is remarkable on many levels. The work addresses a wide range of issues which include Education, Social Justice and Human Rights. The Brick Project will be relaunched in 2016, and will strive to raise awareness with a worldwide network of schools on the circumstances of children in conflict zones in the Congo that you work with. In my previous interview with Professor Myriam Denov in The Brick Project Conversations series, I opened my interview by asking Myriam a question on child soldiers. I would like to ask a parallel question to you, Pascal, and open by asking you about some of the children that CAMME works with that have seen war and conflict. Pascal, what value do you see in students in schools around the world learning about the plight and circumstances of children who have seen war and conflict? Pascal: First children should understand that despite the war and conflict in DRC they are facing, there is a future and end to this. CAMME helps these children know their rights, learn more about their circumstances, and live with others from different backgrounds and tribes. Congo has more than 450 tribes. CAMME teaches them how to cohabitate. Children should understand that there is a life on the other side of the globe. Children in Africa who have been traumatized by wars have a sense of endurance. They understand what life is and that what they need to succeed is an education and a stop to the violence. Chloe: What kind of skills do you train them in? Pascal: We provide practical skills based on vocational training, things like mechanics, sewing, and carpentry; before I left for the US, I was teaching them photography. It is a way for them to tell their stories and to show pictures of their life in the streets. In addition to the training, we also have educational and supporting programs that include literacy, art and culture, health and hygiene, nutrition, sports, and social services. Chloe: The issue of educating children in conflict zones was addressed in a previous conversation in this series, with Harvard Professor Sarah Dryden-Peterson. Children (in conflict zones) are able to face each day when they feel safe and are surrounded by a network of care. Pascal, how does this idea of “a network of care” become activated in the work that CAMME does for children in conflict zones in the Congo? 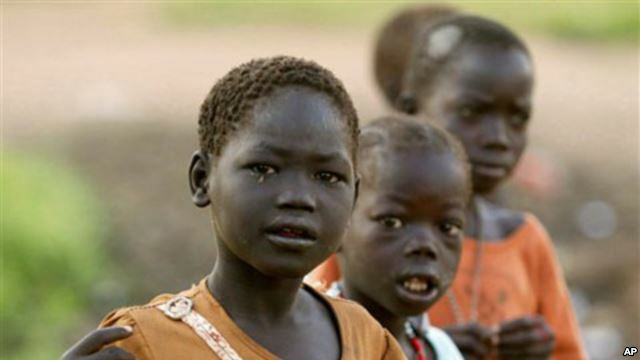 Children in Africa who have been traumatized by wars have developed a sense of endurance. Pascal: We give them social support, which is very important before they jump into different skills. They have been traumatized and displaced so social support is a good first step. We teach them that there is hope and a future. We show them that there will be peace one day even if war and militias are growing every day; we teach them that they are the future of the country. One day they will be able to stop it by using the training they are taught. The network of care is based on hope and the future. If there is no hope, we cannot teach them anything. First we teach them hope, and after that we teach them the rest. Chloe: Pascal, could you describe what motivated you personally to work for CAMME and how you think others can help with the good work that is being done there? Pascal: Before being involved in this program I was a child on the street for many years. My parents separated as a small child, and in the aftermath, I ended up in the street. I know how these children feel, I lived that feeling. It was this, and the fact that this is my community. I don’t want to see my community suffer. I decided to get involved because I wanted to help; wherever I go I carry this organization in my heart- it’s my family. Chloe: How did you go from being in the streets to working for children in the streets? I was a little boy when I was in the street and I was fortunate to have a strong mom who found a way to get me out of the street. Pascal: I was a little boy when I was in the street and I was fortunate to have a strong mom who found a way to get me out of the street. I was able to go to school, and as an adult, I helped my niece Christine (the founder of CAMME) start the organization. What we have done has been amazing; I know how education and training can work, because it helped me become what I am, after being a street kid. I know how a child feels who has spent the night without eating. I found my way out of the street because I knew I didn’t want to stay there forever. Chloe: How do you think photography helps children who are living in conflict? Pascal: In America many people have never even heard of DRC. Through photography, children in Congo are telling their story. They take pictures of themselves in the street where they live and sleep. It’s a way for people far away to learn about how children in Africa are living, especially in Congo. Amongst themselves, kids in Congo tell their own stories, and talk about their experiences. We have showed their pictures at exhibitions twice and many of the children have won prizes. Now we’ve started a new a project to try to teach women photography which will be income-generating in the future. For now, photography is not seen as a woman’s thing so now women are learning photography to empower them to be generating money by using that skill. Chloe: What about child soldiers? Pascal: We have child soliders in the program that come from different militia groups. They are neglected by society;. they are afraid of these children who have been through different horrible things. But we can’t neglect them. So we help them get out of groups where they have been involved, and we train them in vocational skills. We give them a second chance to survive. They are still very young, usually between 13 and 15 years old, so we also teach them about leadership. We teach them to help their community and build peace. Human beings begin with women. If we don’t care for them, we are trying to destroy humanity. We started this program of peace building, working with kids to help them not to be involved in militia groups. Their places are in school, not in an army. We emphasize their education by reorienting them to normal schools if we can, or to a vocational training program. We work with local communities and they help us to identify children who are in the militia groups. When we have identified them, we send the team in the field on secret missions to negotiate with militia leaders to try and release them. We also have a problem with children turning to prostitution, so the community helps us identify those children and we talk with them and try to help them find a better solution. Most of the children are involved in these activities because they are unaware of their rights. After our work, many are able to get off the streets, and out of the army. Our objective is not only training, but also advocacy, so we focus on gender and justice. In DRC, women are very neglected and few people respect their rights. So we also teach the kids about women’s rights. Human beings begin with women. If we don’t care for them, we are trying to destroy humanity.